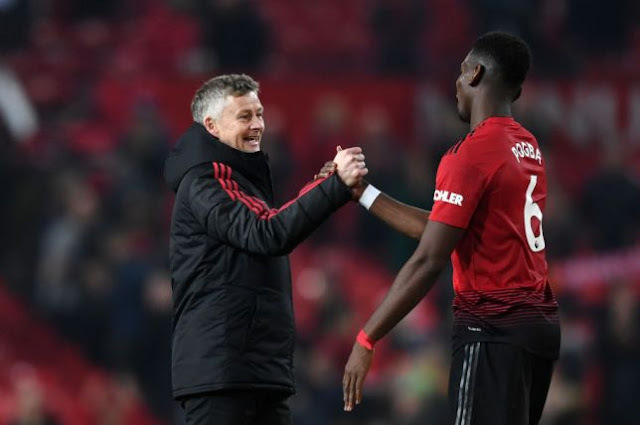 Manchester United midfielder, Paul Pogba has disclosed that caretaker manager, Ole Gunnar Solskjaer helped him become a key player at the club. The France international stated this ahead of Manchester United’s FA Cup clash against Chelsea on Monday night. “Ole has helped me a lot, just like he’s helped all the players,” Pogba told The Sun. “He just brings this happiness, this joy, to us all. As an ex-United player he knows the culture, he knows everything about the club and he knows how to talk to the players as well. So it has really been a big help to me. “It has been great to see all the players enjoying it, all playing and working together – and winning together.